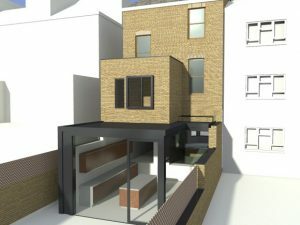 We have recently obtained planning consent from Hammersmith and Fulham for proposals to extend a property in Melrose Gardens, a conservation area of Brook Green, west London. 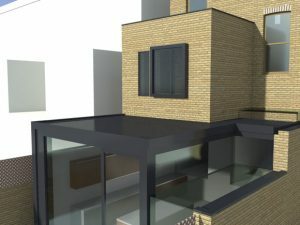 The existing 2 flats are combined back into one house, with a new contemporary brick and glass extension to the rear forming a new kitchen and living area, which opens via extensive glazed doors to the rear garden. Internally, alterations at first floor and upper levels will create a new master en-suite, 4 further bedrooms including a remodelled roof space, to create a modern family home. 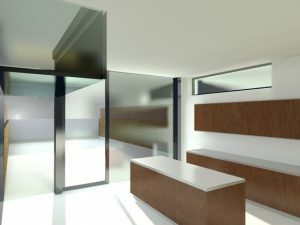 Work is due to start on site later 2012 / early 2013.